Body Transformation: Tall Teen, Major Muscle! This teen doesn't need to impress anyone. He's proud that bodybuilding brings him to tears. And he should be. Thomas added 70 pounds of muscle to his 6-foot-4 frame! I grew up as a hyperactive child fascinated by superheroes like Superman, Batman, and the Hulk. But as a skinny, tall 15-year-old, I detested my body. I thought I was ugly and had bad form. I wanted to change. Athletics always appealed to me growing up because of my height. I played basketball for four years after class in my teens and could've easily risen in rank, but my passion for the gym and the fitness lifestyle overcame my passion for basketball. 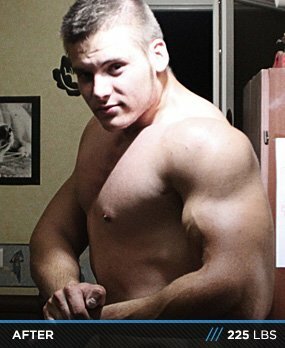 With much time, I was able to learn the basics of bodybuilding with the help of several friends and the Internet. I started my journey in January of 2009 with a simple bench press and a few pounds of iron. It was enough for me to become addicted, and for several months I reveled in this new sensation. The feeling I used to get from other sports doesn't compare to bodybuilding. Sometimes I shed a tear thinking about how far I've come. I found financial assistance by working with my father to afford supplements and daily nutrition. 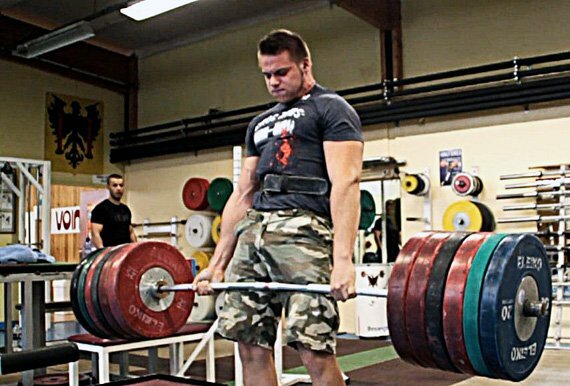 I started lifting at my residence, but as my performance increased my equipment became insufficient and I had to register at a gym. When my motivation gets low or I must take breaks from lifting, I watch lots of bodybuilding videos on the Internet and read lots of books and magazines, such as Frederic Delavier books or Muscle and Fitness. I didn't want to bother with a particular diet at first. I trained on a simple full-body program without dietary supplementation. Now I understand it's imperative to eat well and train properly. I eat 6-7 meals per day so I can grow and push my limits at the gym. You can't be the best if you eat like a skinny boy. I want to continue growing on my own or with the help of a sponsor. I plan to compete in my first bodybuilding show in a few years. Mental toughness is making your body do something your mind doesn't want to do. This sport isn't a mode or a small activity practiced at the end of the day for fun. This is a lifestyle. I managed my evolution and registered my progress and stats with the use of BodySpace. 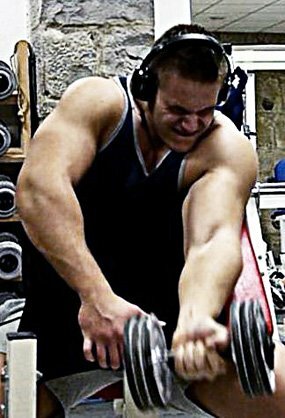 Bodybuilding.com is a very good site. It's a great way to meet people who share the same passion as you.